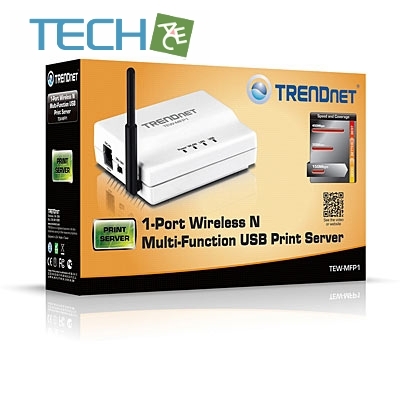 TRENDnet’s 1-Port Wireless N Multi-Function USB Print Server, model TEW-MFP1, transforms most stand-alone multi-function and standard USB printers into a shared network resource. 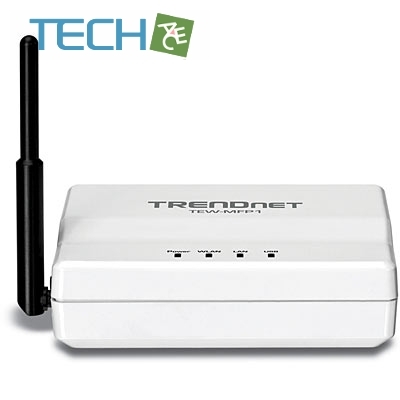 Install your multifunction printer in the most ergonomic location and then connect the compact TEW-MFP1 to a high speed Wireless N network. An intuitive utility supports Windows and Mac operating systems and provides a seamless user experience. Scan, fax, and print functionality from any networked workstation. 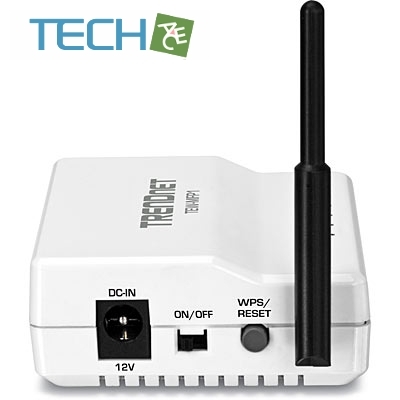 Integrated Wireless N provides greater installation flexibility. 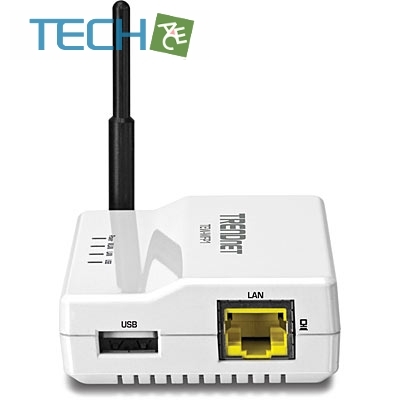 An Ethernet port facilitates optional wired networking. 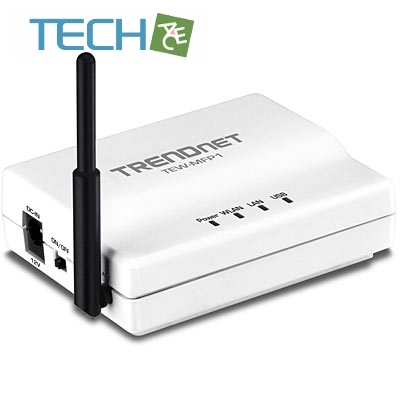 Wi-Fi Protected Setup (WPS) streamlines the process of connecting to a wireless network. This compact device fits into the smallest spaces. USB Devices Supported 127 Max.